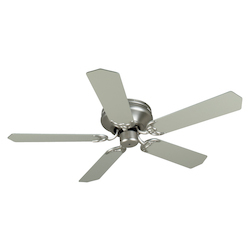 Hugger ceiling fans are designed to offer an alternative solution for customers that would like to install a ceiling fan, but do not have a high enough ceiling. 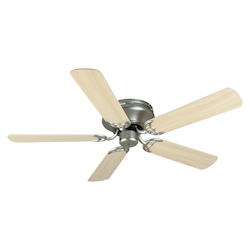 Hugger style ceiling fans have less height because they do not use a down rod. 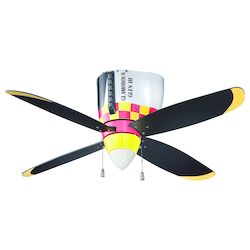 Hugger flush mount ceiling fans are suspended from the ceiling at a minimum height of seven feet above the ground. 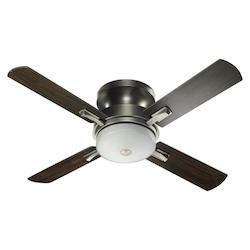 Low profile hugger ceiling fans generate a cooling effect during the summer and can be reversed to better circulate warm air in the winter. 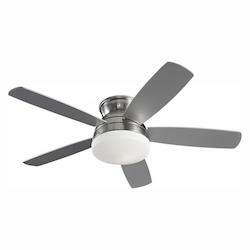 WeGotLites is the leading online seller of all types of high-quality hugger ceiling fans online at affordable prices. 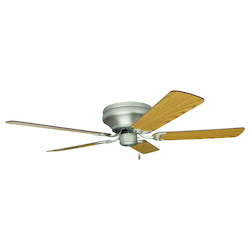 All our hugger mount ceiling fans are perfect for offices, bedrooms, and attics. 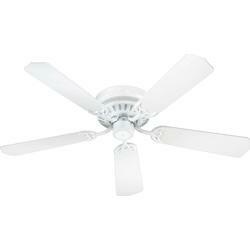 Why is WeGotLites the ideal e-commerce site for all types of hugger ceiling fans? If you have small rooms or spaces in your home, but are seeking a ceiling fan, the only way to achieve this is by installing an affordable hugger style ceiling fan offered by WeGotLites. 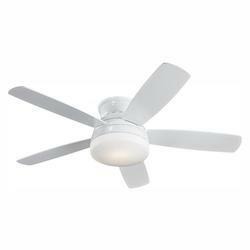 Hugger ceiling fans with light are designed to provide air flow, as well as a lighting function. Most designs of our hugger ceiling fans provide a contemporary and modern look to the room. 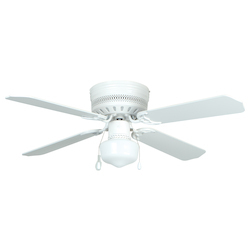 The reason for installing hugger flush mount ceiling fans offered by WeGotLites in your home is that hugger ceiling fans with remote are priced well. 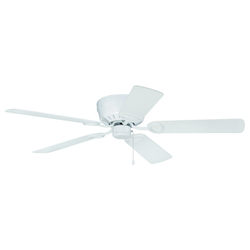 The recommended minimum height of a hugger flush mount ceiling fans is seven feet from the floor to the lowest point of the hugger mount ceiling fan. 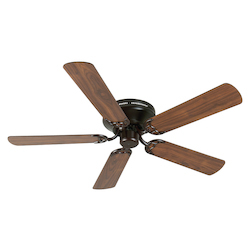 Sleek hugger style ceiling fans offered by WeGotLites are the perfect solution for spaces, such as the bedroom, den, and even walk-in closets. 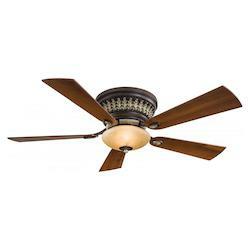 On wegotlites.com, you can find a variety of Minka Aire, Casablanca or Hunter hugger ceiling fans with lights and ceiling hugger fans without lights at the best prices. 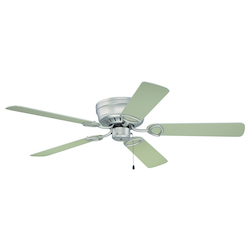 We also offer hugger ceiling fans with remote, keeping the convenience of homeowners in mind. 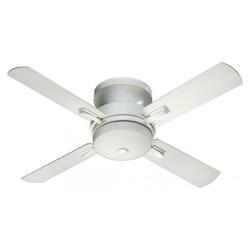 Hugger ceiling fans with remote allows you to switch the fan on or off right from the convenience of your couch or bed. 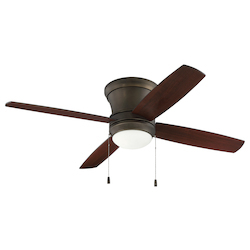 Whether with or without lights, all our hugger style ceiling fans come with a sleek, contemporary profile for small rooms and spaces with low ceilings. Our hugger ceiling fans are designed to keep your home cool during the summer and circulate warm air in the winter. 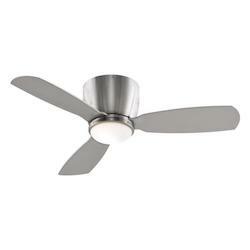 On wegotlites.com, you can find your preferred hugger style ceiling fans in different styles. 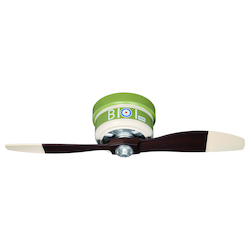 Each one varies in blade number, size, and color. 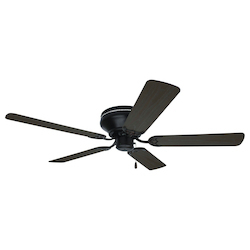 While it is essential to make the most of the airflow by choosing a fan which is proportional to the size of your space, you can buy the right hugger ceiling fans at WeGotLites. 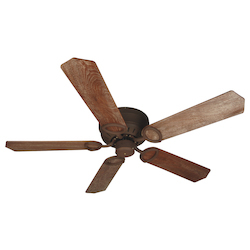 Every model of our hugger ceiling fans is designed to be an ideal fit for homes, regardless of their size. 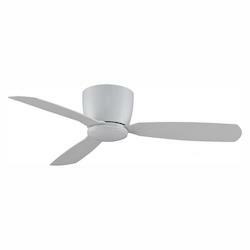 Whichever model of ceiling fans, whether with or without lights, or with or without remote, on wegotlites.com, you can get a variety of models, such as the hugger outdoor ceiling fans, wall hugger ceiling fans, Hampton Bay Hugger, Lapa Hugger ceiling fan, Hunter hugger ceiling fans with lights, ball Hugger fans, and much more at an affordable cost. 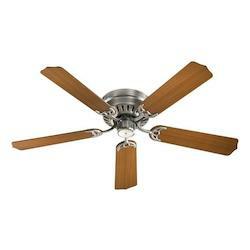 Seeking your favorite model of hugger ceiling fans on wegotlites.com is also easy. 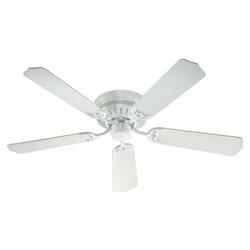 Our ceiling fans with lights and hugger ceilings fans without lights are a good way to cut your power costs. 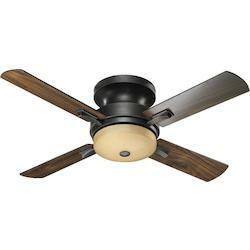 Hugger style ceiling fans make for an outstanding addition to any room in our home or office. 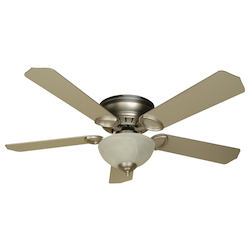 Designed with your style, taste, needs and budget in mind, every customer can find their favorite hugger ceiling fans at WeGotLites. 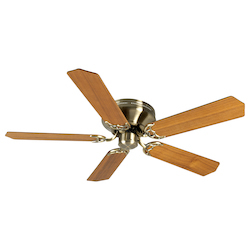 These close to the ceiling fans are designed with many beneficial features to make them the ideal model for every home. 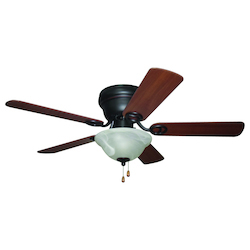 At WeGotLites, we offer a variety of Casablanca model ceiling fans with or without lights and remotes at the best prices. 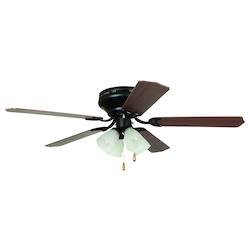 Casablanca fans are also available in different blade sizes and stunning colors to suit the interior decor of your rooms. The 60-inch modern Casablanca ceiling fan can be outfitted with white glass downlights to provide big rooms 9 feet of clearance from the floor to the lowest part of the hugger ceiling fans with lights.. All of our energy efficient models of ceiling fans come equipped with powerful motors to offer better performance. 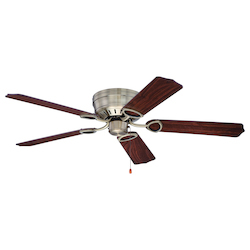 Our Casablanca ceiling fan features five reversible walnut and burnt walnut fan blades and motors with adequate speeds. 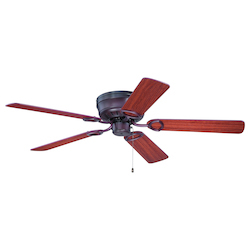 Whether you are hosting a public event, barbecue, or just hanging around the garden, Hugger outdoor ceiling fans offered by WeGotLites will assist in keeping you cool on a hot summer day. 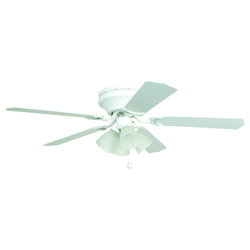 On wegotlites.com, you can find an assortment of Hugger outdoor ceiling fans, designed to perform well for all of your outdoor events. 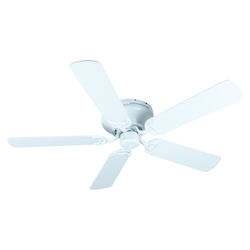 Whatever model fan, such as Casablanca, Hampton Bay hugger, Lapa Hugger ceiling fan, Hunter hugger ceiling fans with or without lights, or ball hugger fans, you will get the best model at WeGotLites. 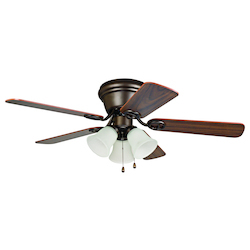 All our wall hugger ceiling fans feature a variety of finishes to add the perfect style to any room in your home. 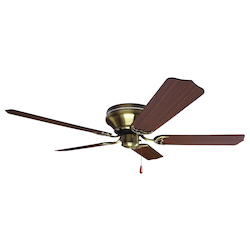 At WeGotLites, we carry wall hugger ceiling fans in different sizes, colors and blade types to complement the interior decor of your home. These fans are the perfect addition for any big interior spaces with the maximum area of 400 square feet. 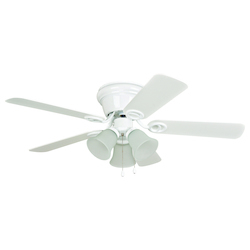 We offer Wall Hugger ceiling fans with and without lights, and they are available in a white, three-light candelabra and even brushed nickel. 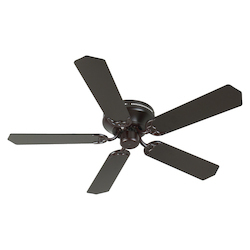 The Minka Aire indoor ceiling fans offered at WeGotLites features a glossy, triple-blade design available in all blade sizes, and in blade colors such as black and white, according to your needs and the size of your room. 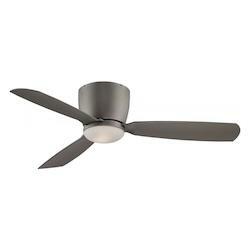 All these fans come with a stunning brushed nickel finish to enhance the beauty of any room in your home. 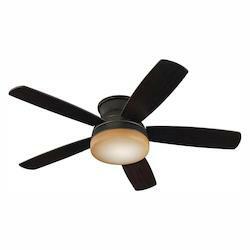 The Minka Aire ceiling fan comes with a light at its center with a round shade. 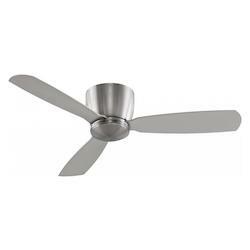 All hugger ceiling fans offered by WeGotLites are designed to improve the interior decor of your home. 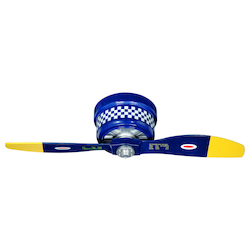 On wegotlites.com, you can also buy hugger ceiling fan accessories for fans at the best prices. 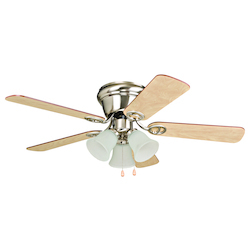 Adding these attractively designed accessories to your existing hugger style ceiling fans will further boost the beauty of your home decor. 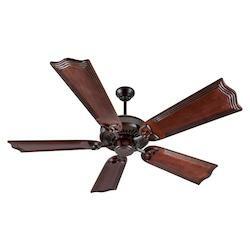 Get in touch with WeGotLites today to acquire your favorite hugger ceiling fans to enhance the charm of your home in a professional and affordable way. For answers to any questions about hugger ceiling fans, you can call us at our toll-free number 866-415-4837.